The prestigious 200 Steele luxurious showroom building in High Point’s high-end Hamilton-Wrenn district. 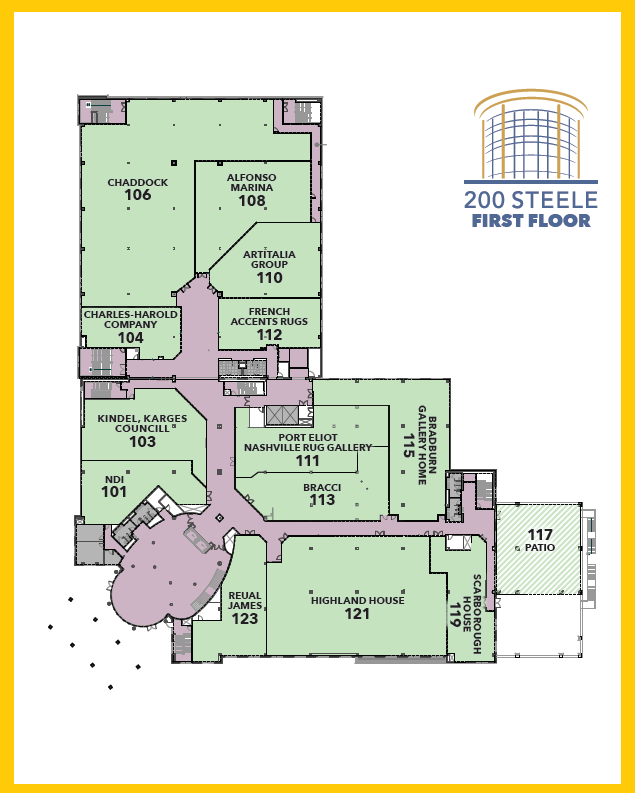 200 Steele is a blend of exquisite architecture, high-end home furnishings and unmatched amenities opened in April 2002. A destination showroom building, 200 Steele offers interior designers and high-end retailers with a diverse array of one-of-a-kind and special order furniture, art, mirrors, lighting and decorative accessories. 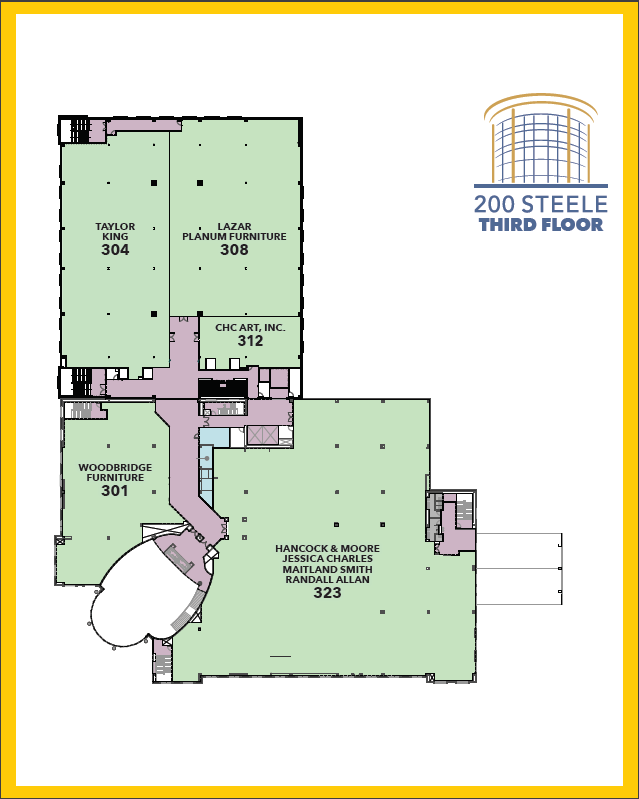 Centrally located in High Point on the main entrance to Market, 200 Steele is easily accessible from anywhere in the city. You’ll find us in the Hamilton Wrenn District at the crossroads of Steele and English. 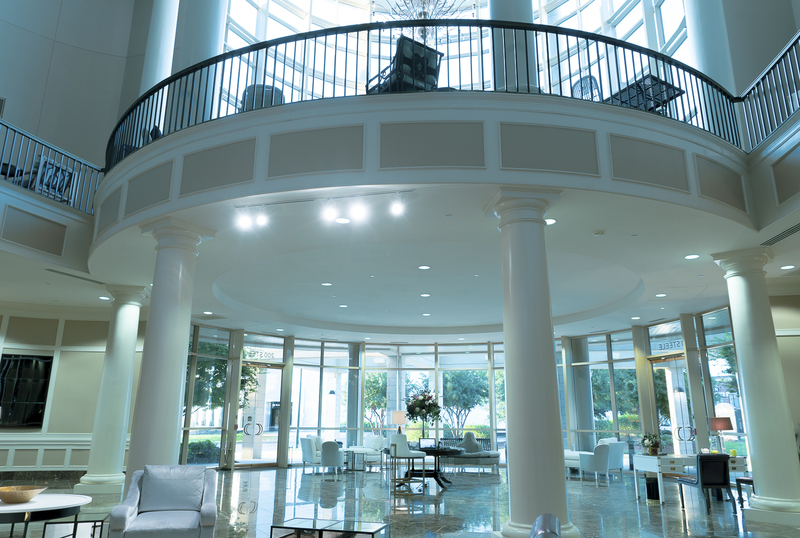 From its magnificent marble entrance and dramatic three-story center atrium to a grand staircase, 200 Steele stands as a unique destination among High Point’s many design buildings. Its well-appointed reception areas, both in the lobby and on the second floor, encourage relaxed meetings, quiet conversations, and dynamic gatherings. These spacious common areas include a conference room for tenants and their clients. We have parking for approximately 200. Secure parking is available under the building for our tenants. 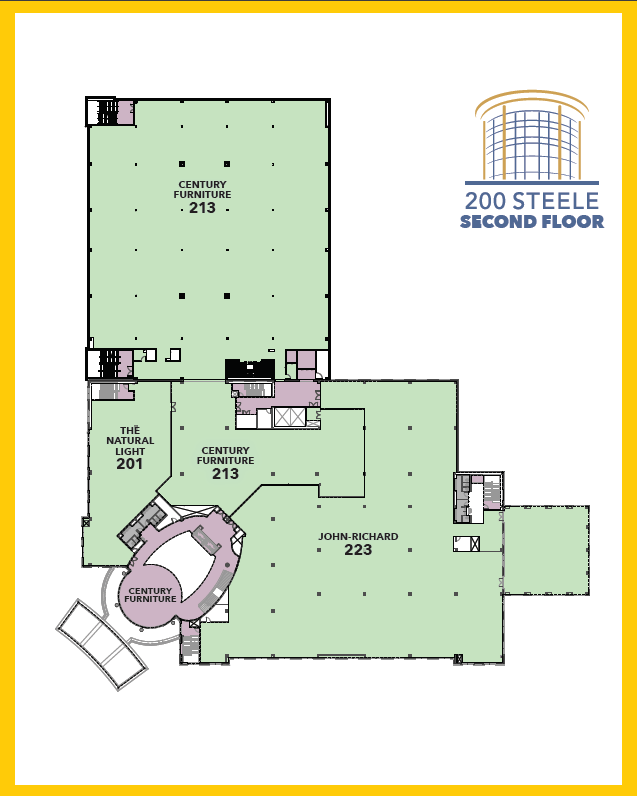 200 Steele boasts luxurious common areas throughout the building. The second floor atrium, which overlooks the elegant lobby, is ideal for Market gatherings and special events. In addition to ample, on-site parking, 200 Steele also offers courtesy vans to transport clients to and from the building and to other High Point destinations. Between Markets, 200 Steele is OPEN TO THE TRADE year-round: Monday – Friday 9 a.m. to 5 p.m., and by appointment.